RP51305RB is rated 4.9 out of 5 by 11. Rated 5 out of 5 by WYCGRL from Great Shower Head Looks great. Works well in our bathroom and has sufficient pressure. 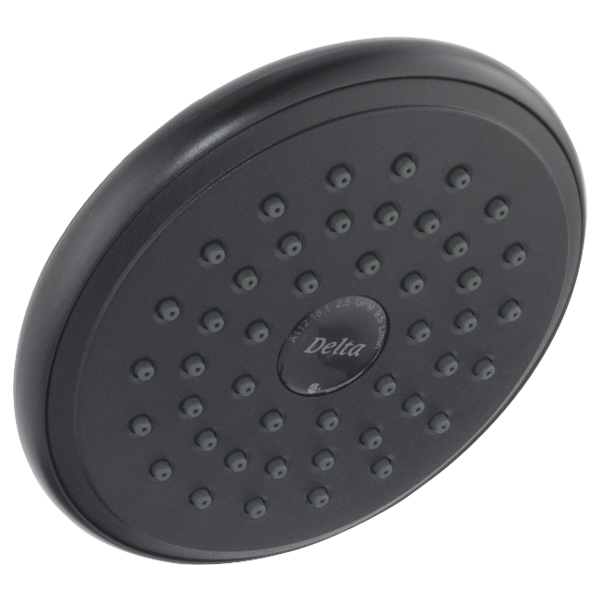 Rated 5 out of 5 by Janet from Delta shower head Great product . 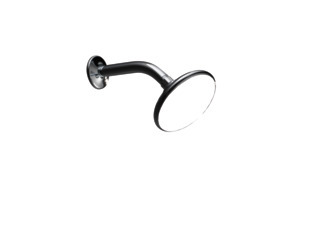 Updated our bathroom just by changing to gooseneck arm and this shower head . Rated 5 out of 5 by Mark797 from Excellent showerhead My wife and I both love this new shower head. So much nicer than the standard smaller Showerheads on the market. Rated 5 out of 5 by Eddie from Delta rain shower head I love this shower head. Works great. Rated 5 out of 5 by SouthernGal from Love this shower head! I purchased this as a replacement for my existing Delta Lahara shower head. I love this shower head!! It's great!! Rated 5 out of 5 by Desmac from Wonderful shower head. I bought this after using it at a resort. Came home and bought one for each of my three bathrooms. Best shower I've had in three years, plenty of water. can this shower head be mounted to the ceiling? Can I replace my Delta showerhead A112.18.1 with the T14294 ? is a metallic version of this shower head available with a chrome finish? I want to mount this on the wall but with a vertical orientation rather than at an angle. What is the part number (CZ) for a shower arm that comes from the wall but results in a vertical rainfall shower? Is this shower head suitable for such an install? I have a well and a pressure tank. The pressure of the water stream coming out of this showerhead is low. I saw in a previous email that this showerhead has 2.5gpm at 80 psi, however my pressure tank only puts out 40psi to 45psi. Is there a showerhead that will provide more pressurized water at a lower psi? Thank you for your question. Delta Faucet model # RP51305 will flow at 2.5 gpm at 80 psi. You should only lose a little bit of flow with a psi of 40-45. Our products will still perform with a psi of 20. There may be mineral deposits built up in your showerhead. We recommend soaking the showerhead overnight in a 50/50 solution of white vinegar and cold water. I like the PR51305-ss shower head, I also like the BT13010-ss shower trim. 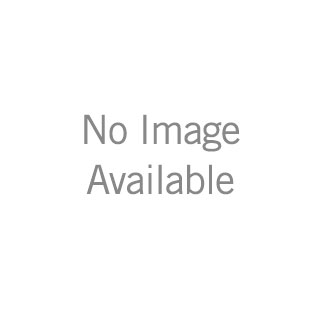 Are they compatible together? If so, what rough in kit is required? Hi KJ, The raincan showerhead and valve trim you mentioned are compatible. You would use the R10000-UNBX rough in for this trim. What is the warranty on this shower head? Ours is no longer &quot;touch clean&quot; and the rubber tips are actually disintegrating. It's about 7 years old.